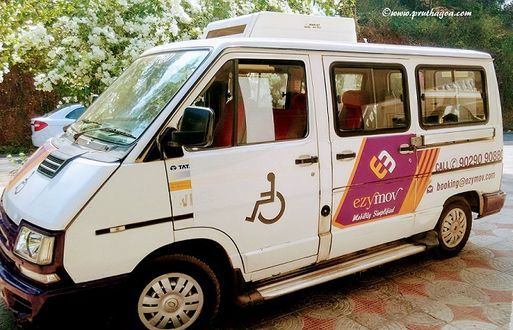 The differently abled now have a safe and comfortable mode of transport through a company called Ezy Mov (www.ezymov.com), India’s first transport company that caters especially to the differently abled and the elderly. The company, which is based in Mumbai, was established in 2015 thanks to co-founders Rrajesh Patil, Romeo Ravva and Bennet D'Cunha. Rrajesh Patil has been involved for over 15 years in taxi fleet and driver management, Romeo Ravva has a background in volunteering, event management, branding and communication, and Bennet D’Cunha comes from the healthcare consulting sphere. These three men have been instrumental in providing a means of exploring the world to the differently abled who were once banished to the seclusion of their homes because of the difficulty in obtaining a means of transport that would accommodate their disability. The company operates on the mission of providing the differently abled who have mobility concerns with the chance to ‘Travel with dignity’. In 2015 the company began with wheelchair equipped taxis. Today it has technologically advanced systems in its taxis such as hydraulic lifts and wheelchair restraint systems. The drivers are professional in their conduct and trained to work with consideration for the differently abled. They are also trained to provide basic first aid if an adverse incident should occur. 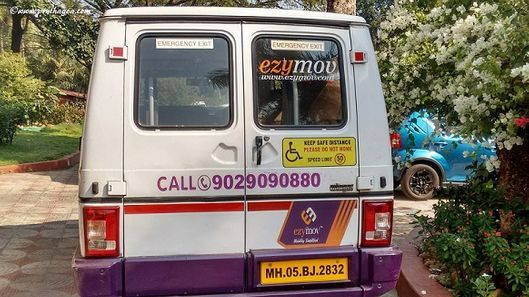 Ezy Mov opened shop in Goa in December 2018, much to the delight of people with mobility problems here. It has already been tried and tested by the likes of Frederika Menezes, an author and artist, who despite having cerebral palsy has achieved much in the way of a bright career. 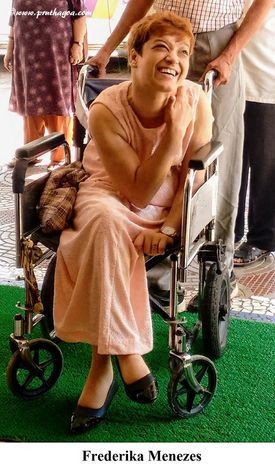 The wheelchair-bound Frederika has endorsed the taxi service saying, ‘Ezy Mov taxis make moving around dignified for a wheelchair user,’ confirming that she is reasonably comfortable travelling in the taxi. The cost is not prohibitive with the base day fare (8am to 9pm) from point to point being Rs 275 (4 Km) and each additional kilometre is Rs 30. For the night fare (9pm to 8am), it is Rs 350 and Rs 40 for each additional kilometre. There are rental packages: Rs 1750 for 40 Km/4 hours; Rs 3500 for 80 Km/8 hours. With both packages each additional hour costs Rs 300 and each additional kilometre costs Rs 30. The Ezy Mov website has a calculator which can calculate the exact amount for you - http://ezymov.com/#why-us. Visits for health care, trips to religious sites, airport transfers, tours for tourism, as well as travelling to social events have become much easier for the differently abled in Goa because of Ezy Mov taxis. Ezy Mov has partnered with Enable Travel (Cox & Kings), a brand which provides curated tourist tours for differently abled people.